Philips Sonicare, the power toothbrush brand most recommended by U.S. dentists and hygienists, has partnered with TED, the non-profit dedicated to ideas worth spreading, to further its ongoing mission to improve lives through meaningful innovation. The brands joined forces at the annual TEDWomen conference in San Francisco, CA to host a conversation around behavior change. The panel discussed the ever-growing role that meaningful innovation has on positively changing behaviors, specifically in the healthcare space. 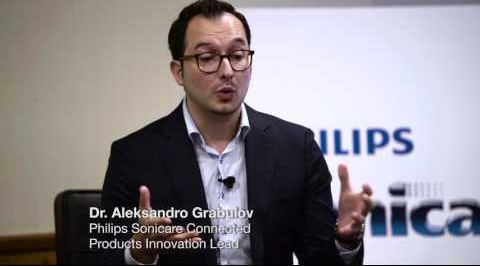 The discussion was inspired by the launch of the oral care brand’s latest innovation, Philips Sonicare FlexCare Platinum Connected. The product is the first power toothbrush in the U.S. proven to improve users’ brushing habits by informing them about their current behaviors while arming them with tools to build a better oral care routine. Panelists included the Philips Global Lead for Behavior Change, Dr. Mark Aloia, technology influencer, Katie Linendoll, and the Director Innovation Lead at Philips for Digital & Connected Innovation, Aleksandro Grabulov. The new Philips Sonicare FlexCare Platinum Connected power toothbrush features unique Smart Sensor technology that tracks location, scrubbing and pressure and uses Bluetooth® technology to sync data with the Philips Sonicare app. This creates a personalized 3D Mouth Map that identifies missed spots and guides proper brushing technique via real-time feedback to effectively reach more surfaces during each brushing session. Philips Sonicare FlexCare Platinum Connected and the Philips Sonicare app (free in the Apple App store and Google Play) is available at major retailers for a suggested retail price of $199. The product is also be available with a specialized UV sanitizer to clean brush heads for $219. To learn more about the Philips Sonicare portfolio of products, visit philips.com/sonicareconnected.